It has always been important to Origin to support the wider spinal injury community in which we work and we are proud to have been involved for many years with two spinal injury charities which offer more practical day to day advice and assistance to those newly injured and those who have lived with their SCI condition for many years. Here our long term partnerships allow Origin staff to get involved with volunteering projects, education and training as well as aspects of fundraising to generate real positive benefits for all involved. We have a fundamental interest in medical research into finding ways to repair spinal cord injury and reverse the paralysis that results from it and are keenly interested in how the latest digital technology can be used to benefit those with physical disabilities of all kinds. 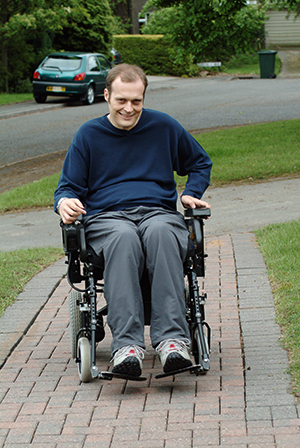 The Spinal Injuries Association is the leading, national and user led charity for spinal cord injured people. They provide support from the moment of your spinal cord injury and through the rest of your life providing key services, information and campaigning for change. Origin is a long time and loyal supporter of this organisation having sponsored and supported various courses, events and fundraisers. The directors of Origin believe the educational aspects of SIA’s work combined with their dedicated campaigning and practical services really do change the lives of those with a spinal cord injury and their families for the better. Back-Up Trust is a charitable organisation which runs training courses in sit-skiing, scuba diving, wheelchair skills, drama etc. Origin provides practical support through the provision of a number of PAs for participants on their winter and summer courses. Origin is also the sponsor of the Back-Up Trust Powerchair Skills Training Course which runs at venues across the country and is one of the most popular courses particularly for those newly injured.